Getting a job in tech industry that has a good salary and a lot of benefits, is not a dream anymore. Experts in tech industry are being paid extremely well because of their unique skills. Every year many new jobs are being added in this sector. In 2015, around 200,000 tech jobs were added in American tech industry. All these jobs do not pay the same, few of the jobs less because there is not much demand for their skills. But there are some tech jobs that are demanded very highly in the industry and only few individuals have those skills. These skills are worth commanding a decent pay. An artificially intelligent startup named as Paysa conducted a survey on 29 programming languages and 248 skills in 569 cities. According to the survey, following skills were found to be the most in demand globally. This PHP programming language is worth $124,475 and is highly demanded for web development. It is also used for many other projects because it is known to be an easy language. In the startup scanning, this skill appeared in 5% of the job listing. Another highly demanded language is SQL which is used with databases such as Oracle, noSQL, and Microsoft SQL. It appeared in 13% of the job listings Paysa scanned. This skill is popular because almost all major businesses use these databases. This skill is capable enough to command up to $126, 532 of a heavy salary. For becoming an expert coder, C++ is essential to learn. This language is the one derived from C and appeared 7% in the job listings. The average salary for the job demanding this skill is $133,954. Another important language that appeared in 5% of the job listings as Paysa scanned. This language is used as a staple for acquiring computer science education and forms the basis of many other languages. There are so many other languages that are easier to learn than C therefore programmers are still trying to figure out whether to continue learning it in future. 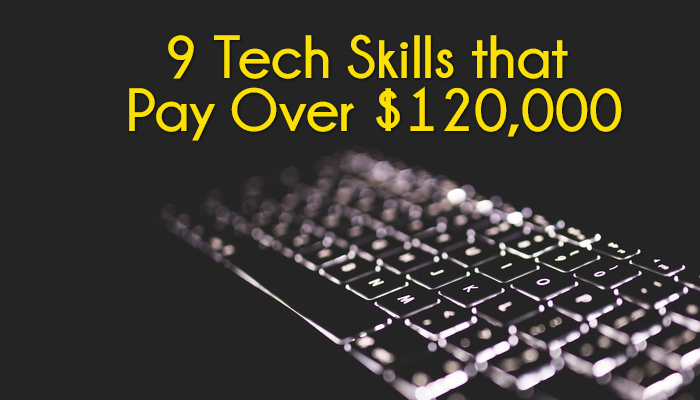 The average salary for this skill is $133,691. This is popular by programmers writing apps and with Microsoft’s web programming tool. Microsoft developed it as an offshoot of C and it has appeared 7% in the job listings scanned by Paysa. $129,692 is the average salary that is paid to the experts of this language. This is another very important programming language and appeared in 5% of the job listings. This language is considered good for all kinds of projects and is known to be an easy language for learning. Jobs demanding this skill are paid $139,214 as an average salary. This programming language is basically an extension for the Oracle’s databases. This SQL database which is Oracle’s database is famous for its advantages. SQL is highly demanded in the market and the average salary is up to $126,177 for jobs that require this skill.